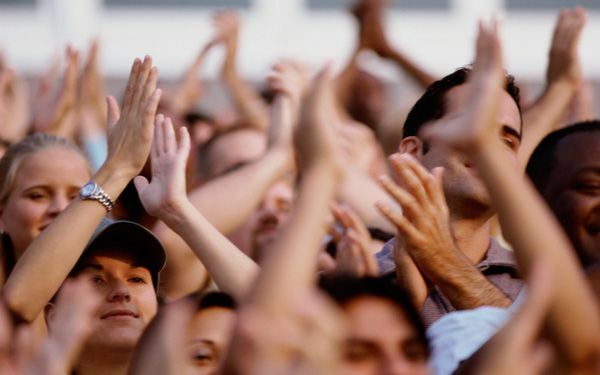 You asked us, what is the origin of applause? Well, it's impossible to know exactly when people first started clapping, though it's definitely an ancient and widespread behavior. It had certainly caught on by the time of the Roman Empire, when crowds would clap, snap and wave the edge of their togas to let rulers know exactly where things stood. 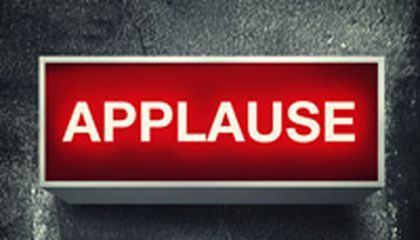 But applause -- clapping as a sign of approval or joy -- is actually a learned behavior. And for the most part, it seems to be limited to humans. I liked this article because I did not know what the organ of applause.Also I did not know that all of theses animals can clap like that. Also I did not that clapping was a sign of approval.That why I liked this article. I love this article. Its so funny how all the animals starting clapping. Its also very interesting. I also think that clapping for your food should still be done to. that was my comment. I think it is cool that humans over time learned to clap. Now we think it is normal to clap but when the Roman Empire was around it was a thing you did that was kind of uncomfortable because it was new it might have even been astounding if somebody clapped because it was so new. I thought we humans we born with the ability to put are hands together and make noise but apparently we were not. Monkeys, Apes, and Orangutans could clap before us. Monkeys! I just think it is weird that we were not able to clap since birth. The article was interesting. I can't believe that Roman Empire clap, snap, or wave the edge of the toga. I like how they put in the video. I like how the text put in allot of information in the text for the readers can understand what the article was talking about. I still can't believe nobody found out why we clap. Even I don't know why. But they say it started in Rome but, who knows? Now trained monkeys are clapping for attention I mean can't they make a noise because I thought clapping was our thing. I this is inserting. This article may have been short, but it was very pleasing and detailed. First of all, it told of the origin of applause for knowledge, the use of applause in roman time for some history, and how apes and chimps used clapping for a fun fact. and this is why this was an amazing article.